In most cases, jewelry makes an outfit. It can be simple and dignified, or loud and eye catching…either way, it has the ability to turn clothing into a put-together look. I have always had a love for vintage pieces. Perhaps it’s my love of history or the unique story each piece might have, but for me the older the better. 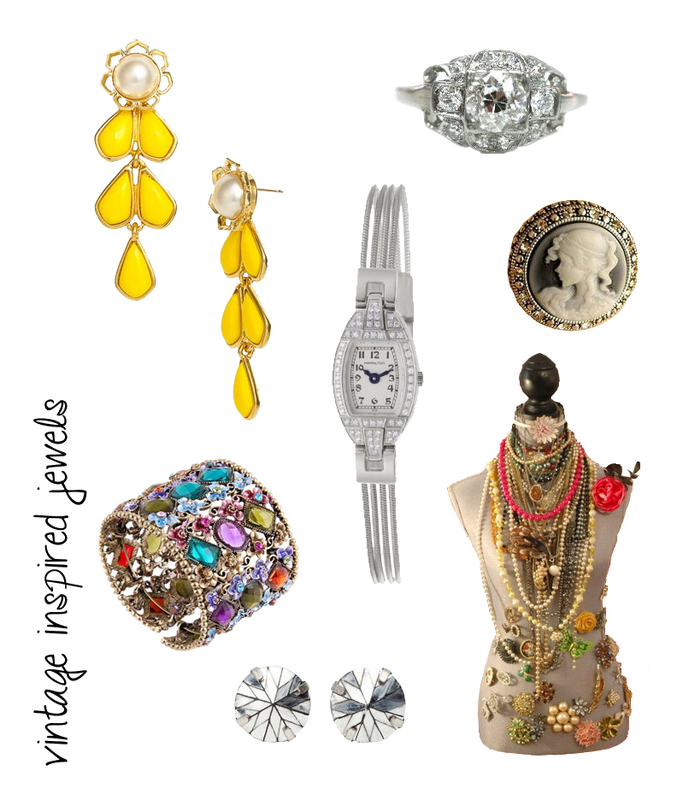 Here are some vintage and vintage-inspired pieces of jewelry that are sure to never go out of style. Do you have any vintage jewelry in your collection that you wear? For me, cameos are always in style! So intricate, with no two faces are alike, they are wearable art.